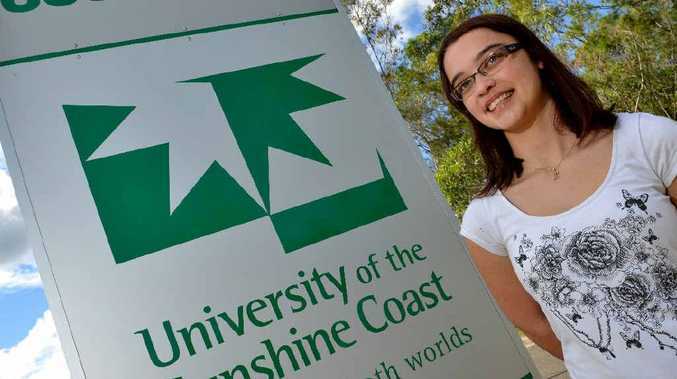 UNIVERSITIES in regional Queensland fear the Abbott Government's education reforms could hit hard, with the poor discouraged by new charges and the bright poached by whatever school has the most money. Dr Caroline Perkins is executive director of the Regional Universities Network - a mouthpiece for six regional universities across Queensland and NSW, including University of the Sunshine Coast, CQUniversity, Southern Cross, University of New England and University of Southern Queensland. Dr Perkins said the government's budget reforms would cut 20% of funding from some courses. To compensate, universities were now able to increase course costs with students on the most prestigious campuses to pay up to three times more. Fairfax reported on Sunday that some Melbourne University science degrees would rise from $24,082 to at least $38,722 if the budget reforms were passed. A chunk of this increase - about 20% - must be spent on scholarships. Dr Perkins said it would allow the "Group of Eight" universities, which includes University of Queensland, University of NSW and University of Sydney, to lure bright minds from the regions. She said this could erode the talent in regional towns. "We know for sure that 60% to 80% of students who train or go to university in regional Australia stay in the regions to work," she said. "Other surveys show those who go to capital cities to study - only 5% come back to work in the regions." Education Minister Christopher Pyne said regional universities would be able to better compete with their city counterparts by offering more places. He said with these campuses also able to offer scholarships, they could bring city students to regional areas. The government was now considering what form the scholarships would take. Mr Pyne said he expected each university to run its own. Dr Perkins said as student charges went up - including by a new interest rate of up to 6% being added to university debts - the trend of more regional Australians embracing study could start to decline. "We think there is a chance students will be deterred even though we're talking about a deferrable loan that doesn't have to be paid back until they earn $50,000 a year," Dr Perkins said. "They don't know what the fees will be and they don't know what interest rates will be in the future." Mr Pyne said institutions will compete for students on choice of course, teaching and value. "Students will win from this competition," he said.